The future location of Arctic Fitness in Courthouse. A Courthouse fitness and massage center is relocating into a larger space not far from its old home. 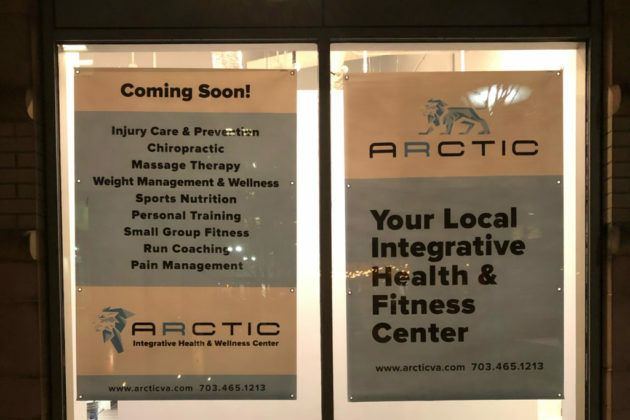 Arctic Integrative Health and Wellness Center is moving into a vacant office space at 1401 N. Adams Street, near the neighborhood’s Residence Inn and Fire Works Pizza, according to signs posted at the location. The company, which offers personal training and other coaching services, was previously based at 2055 N. 15th Street, near the Courthouse Metro station. 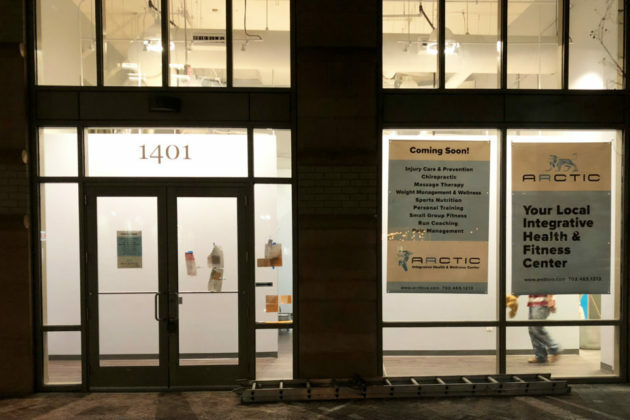 The new space represents a bit of an expansion compared to the old location, and Arctic made the switch final on Sunday (Feb. 3), according to the company’s website. The location was previously home to My Thrive Pilates, which closed after the company shuttered all of its locations, including studios in Falls Church and Shirlington, last spring.